Asthma, one of the most common childhood illnesses and a leading cause of work and school absences, continues to cause symptoms for nearly 25 million Americans. As a board-certified allergist and immunologist, my most frequent patients were individuals with this adult and pediatric inflammatory, chronic lung disease of the airways. This inflammation causes repeated episodes of wheezing, breathlessness, chest tightness, and nighttime or early morning coughing. The prevalence of asthma, with marked disparities between various populations, continues to increase within the United States. 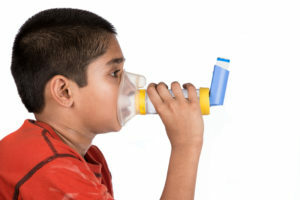 The greatest rising trend is in adult women, non-Hispanic Black children, and those individuals living in poverty—especially boys.2,5 Medical management has improved in recent years, but asthma is still related to more than 3,000 deaths per year.2 What can we learn from the extensive information available about asthma? 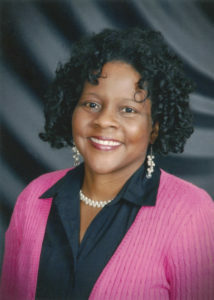 The National Institute on Minority Health and Health Disparities (NIMHD) supports targeted, ongoing research, such as University of California at San Francisco’s “Genes, Air Pollution, and Asthma Severity in Minority Children” and Nova Southeastern University’s “Health Literacy Assessment and Intervention to Reduce Disparities.” These studies are intensely focused on bringing forth up-to-date information to address asthma care, particularly in reducing the disparities that exist among specific patient populations. Currently, however, as there is no cure for asthma; control is the key. Identifying one’s triggers is the first aspect of gaining control and management of asthma. The most common triggers are indoor and outdoor allergens, e.g., animal dander, dust mite, mold and pollen; air irritants, e.g., tobacco smoke and perfumes; as well as weather conditions, respiratory illness, stress, and exercise. 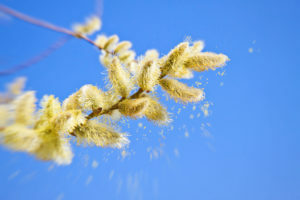 Individuals with asthma may employ several initial steps for decreasing indoor allergens. The most beneficial options have been encasing of mattresses, pillows, and box springs in allergen-impermeable covers and choosing smooth surface flooring, either vinyl or hardwood. Regular steam cleaning and frequent vacuuming are recommended for carpeted areas, if they must remain. To minimize dust mite exposures, washing sheets and blankets in hot water every week is necessary. Cockroach and mice extermination are also essential for indoor allergen reduction, especially in schools.6 Additionally, individuals with asthma should be aware of weather fronts, poor air quality days, and infectious seasons, which are known non-allergic triggers. Once avoidance measures are instituted, modify risk factors, such as obesity and smoking; then develop an Asthma Action Plan. The Action Plan, central to patient education, is one of the key components of effective asthma management supported by the National Institutes of Health (NIH) Guidelines developed by the National Asthma Education Prevention Program (NAEPP).1 This plan will guide patients in self-management of acute and chronic symptoms, i.e., when to add quick-relief medications, call their physician, or go to the emergency department. A second aspect of asthma management, which is of great significance, is using asthma medications in a preventative manner. Reviewing and understanding one’s management plan with a health care provider and even enlisting the expertise of an allergist is ideal in controlling asthma. It is well-known that individuals with asthma can lead normal and healthy lives, even as Olympic athletes. Medical management includes quick-relief as well as long-term controller (oral, inhaled and injectable) medications—and often patient-specific management by an allergist or pulmonologist. All these actions are important, given that approximately 50 percent of individuals with asthma in the U.S. report having an “asthma flare” in the preceding 12 months. As allergic and non-allergic asthma sufferers, we must continue to ask questions in our management of asthma as we work to avoid emergency department visits/hospitalizations, work/school absences, and missed opportunities for early intervention or prevention of asthma flares. Visiting Scholar: Roselyn Hicks, M.D. Play your role in healthy breathing environments, and empower all to enjoy spring and every season with well-controlled asthma. Ginde, A. A., Espinola, J. A., Camargo, & C. A. (2008). Improved overall trends but persistent racial disparities in emergency department visits for acute asthma, 1993-2005. Journal of Allergy and Clinical Immunology, 122(2), 313-318. Greenblatt, R., Mansour, O., Zhao, E., Ross, M., & Himes, B. E. (2017). Gender-specific determinants of asthma among U.S. adults. Asthma Research and Practice, 3, 2-11. McHugh, M. K., Symanski, E., Pompeii, L. A., & Delclos, G. L. (2009). Prevalence of asthma among adult females and males in the U.S.: results from the National Health and Nutrition Examination Survey (NHANES), 2001-2004. Journal of Asthma, 46(8), 759-766. Sheehan, W. J., Permaul, P., Petty, C. R., Coull, B. A., Baxi, S. N., Gaffin, J. M…Phipatanakul, W. (2017). Association between allergen exposure in inner city schools and asthma morbidity among students. JAMA Pediatrics, 171(1), 31-38. Solé, D., Dirceu, Aranda, C. S., & Wandalsen, G. F. (2017). Asthma: epidemiology of disease control in Latin America—short review. Asthma Research and Practice, 3, 4-6.